Remember 2008? Homeowners were reeling from the Great Recession, and retailers were trying to figure out how they could make the most of a shrinking building market. 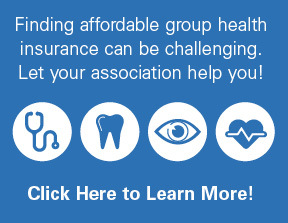 As a result, consumers were cutting back in every form of discretionary spending. As household budgets across the country tightened, many homeowners chose to entertain guests at home as a less expensive option says Joe Girard, owner of Girard’s Ace Hardware, Lighting and Furniture in Bourbonnais, Illinois. That trend has continued in the ensuing decade of economic recovery, and outdoor lighting options have grown more diverse and functional to match this trend. Homeowners continue to focus on how they can best take advantage of new options in outdoor lighting to beautify and secure their homes. The new oasis of the outdoor space has become an area that must be maintained just as much as interior spaces. According to the most recent Home Improvement Research Institute Recent Home Buyers 2016 Report, 77 percent of recent homebuyers intend to conduct renovation projects on their houses. Landscaping and cement work leads the list, while deck, patio and fencing place a close second in areas homeowners plan to improve. Deck and patio projects often require an investment in outdoor lighting to keep a home desirable in today’s market. To learn about the consumer expectations in the outdoor lighting category, Hardware Retailing spoke to two retailers who have made lighting and design a focal point of their businesses. 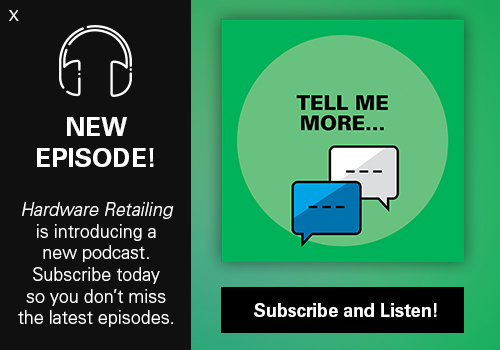 These retailers shed light on the products customers are asking for, discuss how professional builders are designing the modern outdoor space and suggest how other retailers can make their businesses destinations for outdoor lighting. User trends and how homeowners utilize their backyards play just as much a role in the outdoor lighting category as product choices. For Kathy Chamblee, department manager at Warner Robins Building Supply Co. in Warner Robins, Georgia, the way homeowners use their outdoor space plays a major factor in how they are lighting it. In her position as head of the company’s in-house design center, Chamblee has seen the expansion of the outdoor living category and how lighting is integral to it. The increase in educational materials that illustrate how to make the most of an outdoor living space, from social media to home improvement TV programs, has fueled designers and their customers to think bigger and bolder about how a home can look and feel. Lighting isn’t only being used to make outdoor entertainment possible after nightfall—it’s also being added to accent home exteriors. 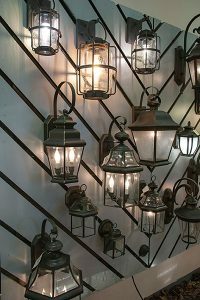 Accent lights—both strong uplights for dramatic effect and softer options like gas lamps—can vary the curb appeal of homes. Girard sees consumers looking for different designs and product selections to accomplish multiple tasks. 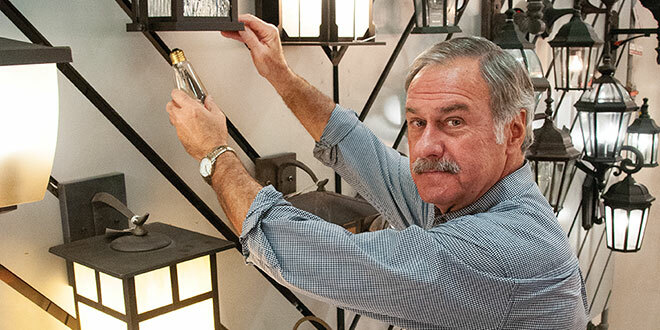 From lights intended for safety to fixtures that are purely cosmetic, he has focused on keeping his professional building customers stocked with what his customers want. That combination can draw on a variety of lighting products and options, he says. Homeowners are concerned with how lighting can affect curb appeal as well as safety, with different products offering different solutions. As a result, consumers may choose a softer light for areas under windows that play on the texture of the exterior of the home while also exposing an area that could be a security concern. Lights can both highlight architectural high points of a home’s exterior while making it less attractive to potential thieves, Chamblee says. Traditional lights in other areas, such as driveways, offer brighter options that provide more usable light. Modern touches include increasingly popular motion sensors with camera systems linked to a home’s Wi-Fi connection, which rounds out a security system. 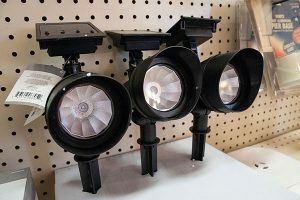 These lights cross over from strictly lighting and can increase the diversity of security options for retailers. Other ways to customize outdoor lighting are controlling the beam spread, or how wide a beam a light emits, as well as the brightness and intensity of a light. Having these options available allows a retailer to stand out as an authority in the category and make their business a destination, Girard says. Trends of what homebuyers want in one room can affect connected rooms and spaces, and that doesn’t change in outdoor living. Chamblee has seen a move toward rustic lighting that stays in line with other home trends, such as the farmhouse style. Slightly rustic finishes that give the appearance of being weathered are in high demand, but quality is still high on the wish list for consumers. Products must be able to hold up in outdoor conditions, with or without a covering over the light fixture. Outdoor kitchens and dining areas also call for special lighting options. Chandeliers and fans with lights can provide an in-home feeling despite being outdoors, while accents like pendants over a bar area provide light that isn’t an intense, centerpiece lighting fixture. 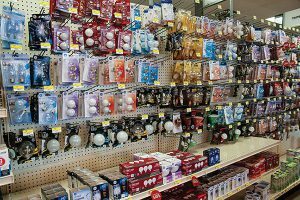 Bulbs are also changing with the trends, with the combination of more LED options and a move toward fewer shades on bulbs and fixtures. Since options like Edison bulbs put out less intense light than incandescents, they don’t need shades over the bulb to focus the light or keep it out of a user’s eyes. Fixtures that leave the bulb exposed or don’t hide the bulbs remain popular. 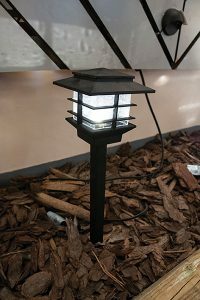 Girard has seen his customers leaning toward higher quality outdoor lighting options that also consider the design of the outdoor space. In the past, outdoor lights have been mostly made with plastic and designed to weather any storm while offering little aesthetic appeal. That’s no longer the case, he says. 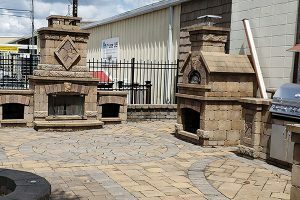 While offering the right products is necessary to earn business from customers improving their outdoor spaces, showing off that selection and keeping it updated for the incoming trends is just as important. An extra hurdle is that outdoor lighting, in most cases, will be viewed under interior lights or during daylight hours when most stores are open for business. 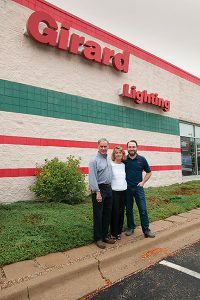 Girard’s Ace Hardware has built an extensive lighting section that includes four wall panel displays dedicated to outdoor lights. Under the wall panels is a floor display designed to look like a mulch bed where post lights and shorter lighting options are shown and lit for customers to see. Allowing customers to see the options available, including the finishes on fixtures and how the bulbs are displayed, is a key merchandising decision for his lighting department. Lighting made sense as a category to focus on, Girard says, because it complements the indoor and outdoor furniture lines available in his store. 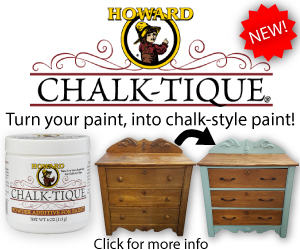 Having expanded so far beyond the typical hardware categories, Girard’s Ace Hardware can help customers make even more home design and decorating decisions in one location. 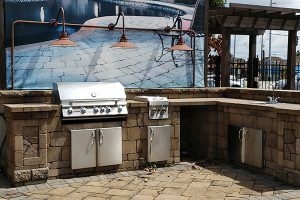 Warner Robins boasts an outdoor living area that shows how it can assist customers with designing or updating their outdoor spaces. Having outdoor lighting on the showroom floor can help build the customer’s knowledge of the products, Chamblee says. However, she cautions retailers to not hang lights for display and call it a day. 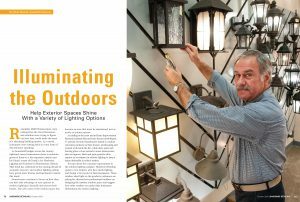 Chamblee suggests keeping staple products like gas lanterns and uplights in stock, but to also be prepared with literature, catalogs and off-the-wall pieces to pique the interest of customers for all the lighting options you sell. One example she uses is a lightbulb she bought her daughter for Christmas. It connects to her phone wirelessly and has a speaker to play music, but Chamblee wouldn’t have known about it if her daughter hadn’t seen it first on YouTube. “My experience with my daughter demonstrates how you have to stay on top of customer interests to stay on the trends,” Chamblee says. Another avenue for growing the outdoor lighting department is industry-specific shows. 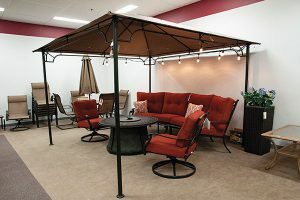 Because he sources his furniture from vendors other than his hardware supplier, Girard is already familiar with markets and trade shows outside of his primary hardware departments. 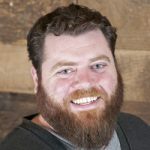 Selling furniture has given him a strong perspective on how retailers can expand not just their lighting departments but any area of their stores.